If you haven't checked out Zapier for your own business, consider putting it on your list of things to do. Not only is it one of the more revolutionary apps in the past few years, but it helps to integrate just about all of the primary business and personal apps you use on your phones, computers and other devices. 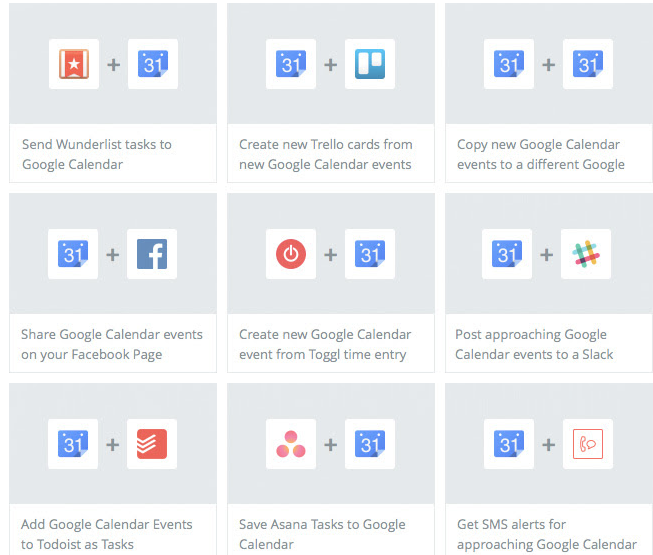 A great part about Zapier is that it assists you in combining Google Calendar with other tools. For example, you could have a Google Calendar event automatically made whenever a new Trello card is made or moved. We're excited about this feature, so keep reading to learn how the setup process goes. After that, we'll outline some of the coolest Zaps that come along with the feature. Install the feature called Online Google Calendar for iPhone & Android App. You can complete this process by clicking on the link we just gave you or by adding it into a mobile app you already have setup in your iBuildApp interface. Once you have the Google Calendar feature inside your app, you'll notice that nothing comes up. This is because you haven't created anything or connected one of your Google Calendars. A wise first step is to grab the Google Calendar code from the calendar you want to appear. This process is shown in the iBuildApp builder, but just to make sure you're aware of how to find that Google Calendar code, simply follow the steps in the screenshot below. Once the embed code is copied and pasted into iBuildApp, it should generate a solid mobile version of your calendar. If you click around you can test how the days and weeks are displayed. As you'll learn more about below, the Google Calendar/Zapier connecting is more than just a regular mobile calendar. This feature is all about automating the process and getting information from other apps to show up in the Google Calendar. How does this work? You'll see that scrolling over one of the Zaps gives you more information about what each one does. However, when you select a Zap it gives you this popup area. So, considering we already have a Google Calendar installed on the app, the final step required is to create an account on Zapier. Go to the Zapier website and make an account right from the start. 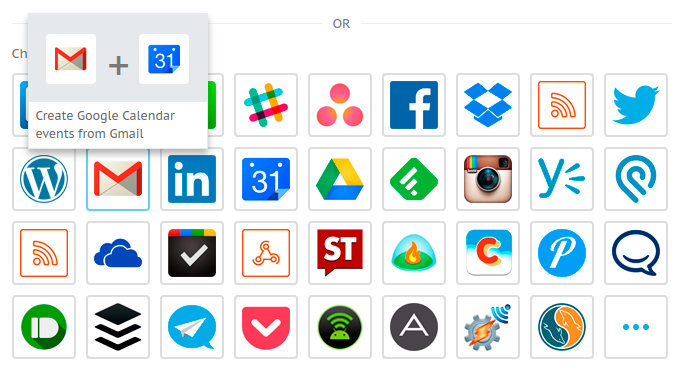 You'll notice that tons of apps are allowed through the actual Zapier dashboard, but your goal is to ensure that each of the Zaps you create in Zapier are focused on Google Calendar. Therefore, we recommend searching for Google Calendar Zaps and selecting from the list. Once you implement a Zap through the Zapier website, it will show up on your app, and you won't have to worry about generating those events anymore. What are some of the More Popular Google Calendar Zaps? 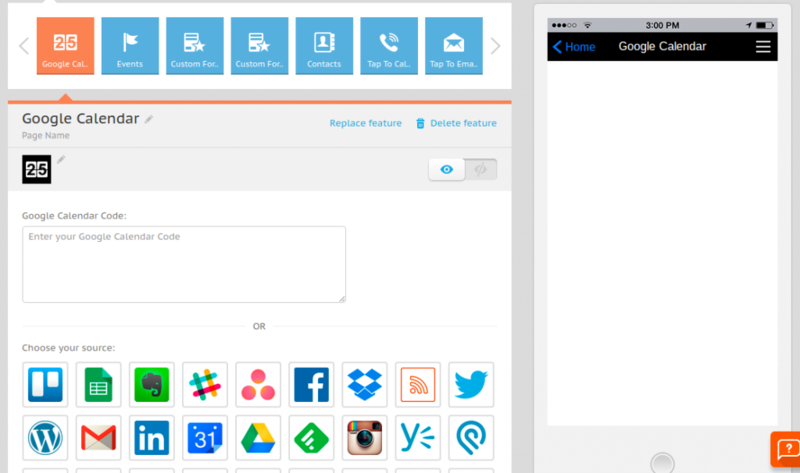 As you may have noticed, the Zapier platform is filled with integrations. You don't even need to spend any money in order to receive incredible tools for combining the functionalities of the numerous apps you already use. 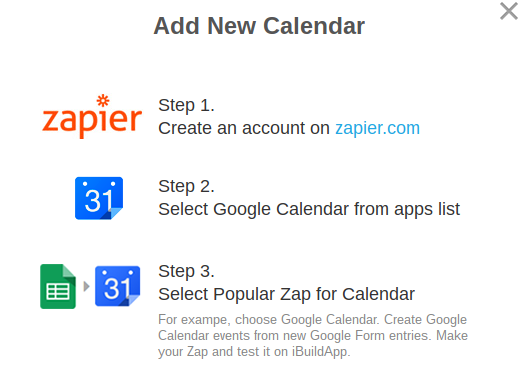 Since this iBuildapp feature is built around the Google Calendars functionality, this means that each of the Zaps are going to, in some way, work with the Google Calendar interface. So, if you look below, you'll find some of the more popular Zaps. Many of them are used to instantly pull an item from another app and turn it into an event on Google Maps. Others are built for generating new items in an app, after you've posted an event in Google Maps. So, the Zap could go either way. 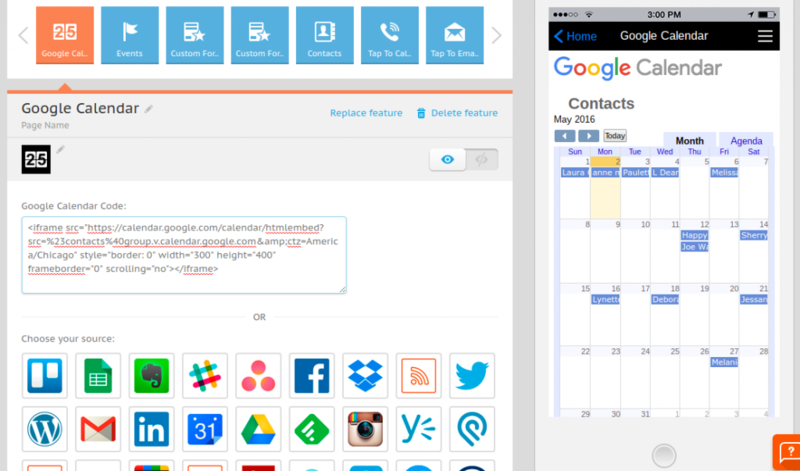 Any questions about the Zapier / Google Calendar feature? Let us know in the comments section below!